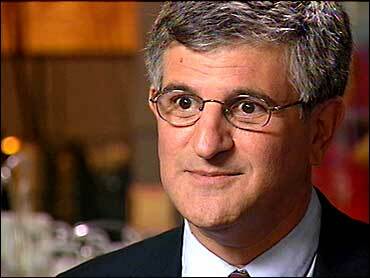 Here you can see debunked the Philadelphia Inquirer news story put out by Dr Paul Offit’s Children’s Hospital of Philadelphia [‘CHOP’] implying your kids may die in the much hyped “just around the corner” “coming to your town soon” non-existent worldwide “swine ‘flu” non-pandemic: [Children’s Hospital study links deaths to post-flu issues] 16th June 2009 Mark Roth. Below are edited email exchanges between “Philly” reporter Mark Roth [who wrote the CHOP “death is coming soon” story] and UK pro bono lawyer and trained scientist Clifford Miller. See the record set straight and the facts CHOP left out to scare parents. “Death is coming” as the latest marketing tool for ‘flu vaccines beats George Lucas’ 1970’s “Star Wars is Coming” style campaign to promote his excellent films. But to use it to blackmail parents to put their children at risk from experimental vaccines is unacceptable. And the more so because there is no way pneumonia will kill vast numbers ever again [even if maybe one of the many ‘flu vaccines incubates a new strain in some hapless recipient]. Pneumonia and other disease mortality rates have plummetted since 1918 and not because of medical intervention: Vaccines Did Not Save Us – 2 Centuries of Official Statistics. Children Who Get Flu Vaccine Have Three Times Risk Of Hospitalization For Flu, Study Suggests – ScienceDaily (May 20, 2009). A CHOP colleague of Dr Paul Offit [who made US$29 million from his rotavirus vaccine patent] Dr. Kathleen Sullivan, chief of allergy and immunology at Children’s Hospital in Philadelphia, is quoted extensively about her new paper all about the new killer plagues. These seem to have replaced other threats of world extinction. The “world asteroid threat” was promoted widely after the “communists nukes threat” pretty well ended with the cold war – [“killer asteroids” was not likely to last – a tough thing to merchandise – even in the US]. ….. most people have now heard of the 1918 flu pandemic, which killed nearly 50 million people around the world. …… very few of those victims died of the flu itself. Many historians now believe 95 percent of those deaths were caused by secondary bacterial pneumonia, which swept in after people’s bodies had been weakened by the flu virus. …. bacterial pneumonia is not as big a killer in today’s flu epidemics …. it is still a major threat. ….. the World Health Organization has formally declared the new H1N1 swine flu as a global pandemic, with 29,000 cases and at least 144 deaths in 74 countries, ….. the medical community and the public need to remain alert to the dangers …. particularly from strep pneumoniae. ….. one-third of the children … die after flu infections …..
History tells us there may have been much more to the 1918 pandemic than a “flu” virus causing secondary bacterial infections – although that probable myth provides a more than adequate basis for the “medical advice” meted out by numerous big pharma-related “experts”. The pandemic began in an army camp in the US, Camp Funston, and spread to other camps and jails. Soldiers of the time reported their illness being typhoid vaccination-related. Stories allude to that vaccine causing the inital onslaught that may have induced a paratyphoid epidemic, thence to be “modified” by the vaccinators and the new version vaccine causing the more deadly Autumn onslaught that eventually spread around te world causing tens of millions of deaths. We are seeing a kind of replay with the current “swine flu” – probably laboratory vaccine version – unleashed by accidant or design into the global community that has already surpassed the initial barriers by spreading by “shedding” contact and not by vaccine alone, thank god this “vaccine version” being relatively innocuous compared to published “seasonal flu” attrition rates. The symptoms of the 1918 pandemic were akin to pneumonic plague, not influenza; plague and other vaccines were in distribution from similar origins – the US Rockefeller Institute – so god only knows which vaccines (some no doubt experimental) those young troops were subjected to prior to crossing to France to die. History tells us that whole streets of people fortuntae enough to be treated homeopathically survived whilst their neighbours treated allopathically died; did homeopathy save them, or did allopathy kill their neighbours? Will antibiotiocs and NSAIDS save 2009/10 victims or cause rapid detrioration as the drugs cause the pathogens to mutate, as they are able, to more deadly versions? Will yet another laboratory vaccine virus be unleashed in Autumn – Fort Detrick reports unexplained disappearances of many pathogenic substances; the US firm Baxter International unleashed the bird flu experimental bug into Europe in its seasonal flu vaccine just prior to the recent “swine flu” outbreak, that actually started in California not Mexico according to recent reports, fortunately Czech scientists identified the contamination before it could cause widespread death and destruction starting in their country. Might we therefore reasonably expect the most dangerous option will be to use any swine and/or bird flu vaccine from any company this year as the only test for such a product was when Americans suffered heavily , in health and financially, from their version only a couple of decades ago? We need a proper widespread information campaign prepared to answer, scientifically, all these questions; we do not need the usual rhetoric from governments that serves only the industries – it is men, women and children who pay not corporations. remember also, in 1918 – the US population consumed refined white flour products and white rice in huge quantities. It wasn’t until 1934 that many b vitamins were discovered and isolated and the realization made that the ‘refining’ process for flour and rice stripped these foods of their nutrients, including b vitamins. It wasn’t until 1942 that ‘enriched’ wheat products came on the market. the 1918 population was most likely chronically malnourished and therefore, poorly equipped to deal with the flu. Tell everyone. You can’t scare people with the 1918 epidemic if you educate them on why they were at risk then. I might have actually took this article seriously except for where you start in on autism in the very bottom. Talk about derailing and trying to bait someone. The article wasn’t about autism, you are pushing your own agenda and failed horribly at it. [ED: You seem to have missed the point – the Japanese data implicate all the vaccines given to children. So you want all children to have a ‘flu vaccine which 1) Jefferson says does not work and 2) when we have hard data from Japan implicating all paediatric vaccines. Looks like you need to take things a little more seriously than you have instead of posting a thoughtless comment of the kind you have]. The 1918 pandemic holds valuable lessons for us today IMO. o The various forms of “vaccination” forced into the troops and conned into the citizens in particular the “Typhus Vaccines” were often the first cause of infection. o The hemorrhagic Lung that killed many was often caused by the initial infection, Aspirin and lack of vitamin C.
We need to learn about 1918 IMO because the H5N1 Political Pandemic they are waiting to loose upon us may play out in a very similar fashion. In particular many tens of grams of sodium ascorbate/day may be required prevent the bleeding lungs. The hospitals will NOT give you the vitamin C REQUIRED to build your lung collagen. If you take the considerable time to read and investigate the above very insightful papers you may come to these conclusions. This description of 1918 comes close to what may be the reality of 1918. Notice they left our the parts played by vitamin C and aspirin which surely they have figured out.